Welded Tube’s OCTG operational footprint includes two ERW mills with our latest state of the art mill commissioned in September 2013 in Lackawanna, NY (near Buffalo, NY) USA. 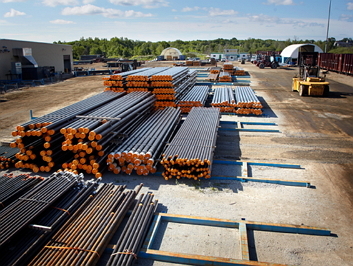 Together with the Heat Treat and Threading Operation in Welland, Ontario, commissioned in April 2011, Welded Tube uses the very latest technology to produce high quality OCTG products that exceed standards set forth by the American Petroleum Institute. State of the art ERW casing mill commissioned in September 2013. 109,000 square foot facility situated on 45 acres. Capable of producing up to 350,000 tons per year. Size range from 4.500 to 9.625 or 114.3 mm to 244.5 mm diameter up to 0.500 or 12.7 mm wall thickness. Currently dedicated to producing OCTG Casing for further processing at our Welland, Ontario Heat Treat and Threading Operation. Future plans include the addition of Pipe Finishing building and equipment. Size Range from 4.500 to 9.625 or 114.3 to 244.5 mm diameter up to 0.395 or 10 mmwall thickness. Capable of producing 250,000 tons per year including pipe finishing. 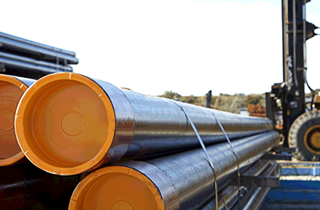 Casing Pipe produced as Plain End or sent for further processing at our Welland or Port Colborne facilities. State of the artHeat Treat and Threading operation built in 2010. Capacity of 170,000 tons per year. Size Ranges include 4.500 to 9.625 or 114.3 mm to 244.5 mm. Grades include H40, J55, N80Q, L80 , HCL80, P110 and HCP110. Fully equipped lab with Collapse Tester for supply of High Collapse grades. 2 Okuma Thread Lines capable of API and Semi-Premium Connections. Dedicated Threading Facility for Casing products with 180,000 tons per year capacity. 2 Mazak Lines capable of API and Semi-Premium Connections. Together, these facilities produce OCTG of unparalleled quality.